It is so exciting to see that people even listen to my interviews, read my blog posts, watch some of my videos, and even share them with their friends. After reviewing the stats for the podcast, it seems that there are small pockets in other parts of the world that are actually listening. Places as far away as Amsterdam, the Phillipines, Australia, United Kingdom, are just a few places that are actually showing signs of listening to the podcast. I love that people around the world are enjoying it all. So as a treat to them, and to those who dare, here are 2 episodes where I recently had the chance to talk to the internationally known artists: Multi-award winning, Chinese, singer/songwriter, Jonathan Lee, and the amazing gender-bending, actor/singer/performance artist, Sven Ratzke. Adapted from the novel by internationally acclaimed author Li Xiuwen, Road to Heaven: The Jonathan Lee Musical is happening. The original musical will feature music by one of China's most iconic singer-songwriters, and through a translator, I was able to talk to him about this amazing project. 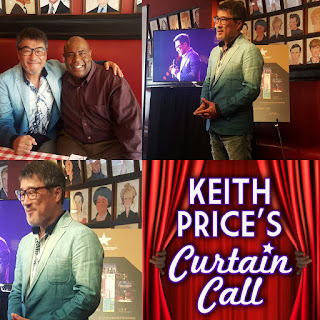 It will feature English lyrics by Tony Award winner Richard Maltby, Jr., (Ain't MIsbehavin', Miss Saigon, Fosse), book by John Dempsey (The Pirate Queen, The Witches of Eastwick), and direction by Eric Schaeffer (Gigi, Follies, Million Dollar Quartet). Don Frantz (Disney's The Lion King and Beauty and the Beast) is executive producer. Click the pic above to hear our brief conversation. My international cup also ran over when the amazing Sven Ratzke stopped by the studios in the middle of his worldwide tour, HOMME FATALE, to chat with me. He visited me last year during his STARMAN CD tour, and we laughed and bonded in such a great way that I had to have him again. He is so much fun, and his new show pushes your boundaries, and He LOVES it. Please take a moment and get your taste of artists from around the world, right here on my little podcast. For my international listeners, especially those in Amsterdam and China, this one is for you. If you are already a subscriber AND a podcast supporter through Patreon, then you have probably heard some if not all of the interview by now. If you are a subscriber to the podcast, then the interview will be available on Itunes later this week. 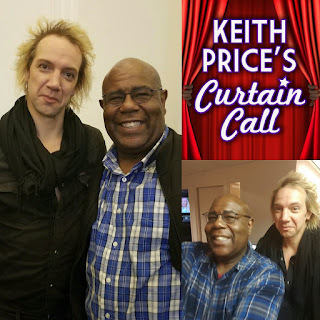 If you are neither a subscriber nor a patron to the podcast, then SUBSCRIBE FREE to KEITH PRICE'S CURTAIN CALL on Itunes and Google Play Music, YOU TUBE and leave a review. 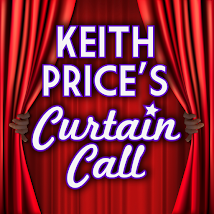 Click the image below to Support Keith Price's Curtain Call Podcast. Also visit me on Broadway World's Featured Podcast Page.